The Kardinia Park Stadium Trust has partnered with the Geelong Football Club and Sports Environment Alliance (SEA) to make a commitment to making a positive impact on the environment. SEA’s mission is to create a sustainable environment in which sport can flourish into the future. Using the unifying and much loved culture of sport SEA hopes to raise awareness and share knowledge, and support action to protect our planet. Both the Trust and the football club are an integral part of the Geelong community and both are committed to making a positive impact in the region. In 2018, the Stadium and broader precinct saw a 44 per cent reduction in waste compared to 2017 thanks to the implementation of a recycling program. By working together with SEA, we hope to implement even more waste reducing initiatives and find more environmental and sustainable solutions for the Stadium in the future. On welcoming the Kardinia Park Stadium Trust and the Geelong Football Club to the Sports Environment Alliance network, SEA Executive Director, Dr Sheila Nguyen said she is delighted they have joined the growing leadership voice and will be sharing their influence for the current and future health of our community. 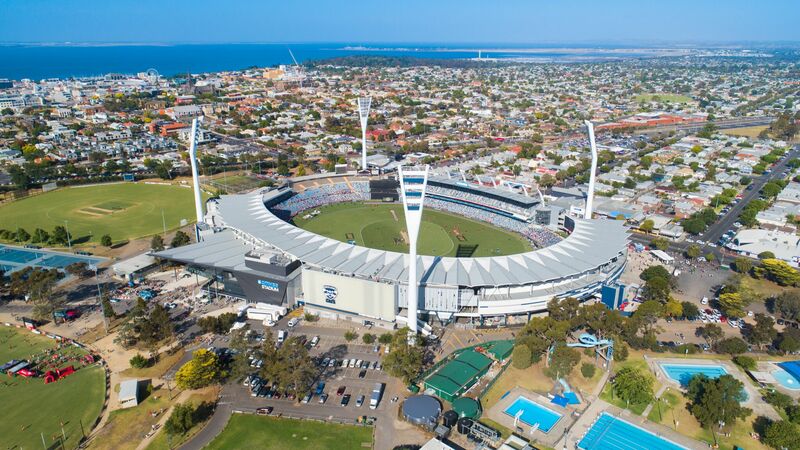 The addition of the Kardinia Park Stadium Trust as an Alliance member sparks great excitement for SEA, with the stadium joining other major infrastructure members including the MCG and Victoria Racing Club in prioritising a clean future. “At a time where infrastructure is starting to play a more important role in our zero net carbon future, sport infrastructure is stepping up to the plate to participate, and their involvement is exciting for the movement. “We look forward to working together to making the change for our clean future and protecting the places where we play for future generations,” Nguyen said.